Congratulations everyone, we have completed the first week of our Proverbs Summer Bible Study with the Good Morning Girls! Today we are in Proverbs 5 where we find out the ONE key to staying on the right path while we travel through this life. 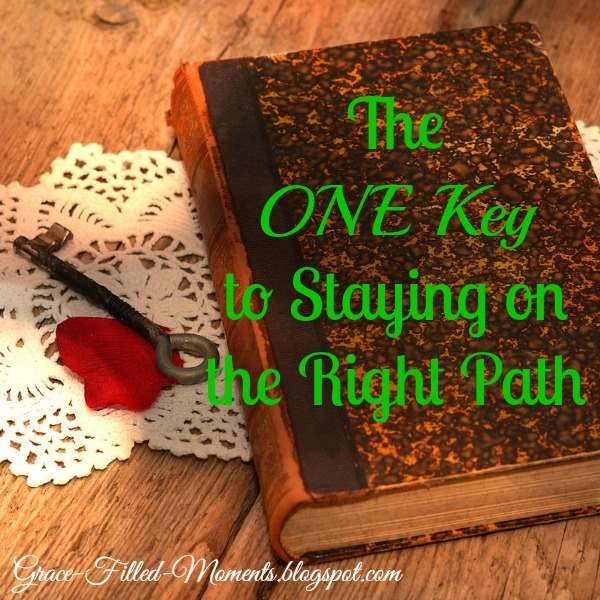 The ONE key to staying on the right path - the path of Wisdom - in this life is to be devoted to staying in God's Word every. single. day. The Bible holds all the truth we need to know for living in the will of God. It is imperative that we read and study our Bible so that our lives reflect that we belong to God and not to this world. The path of Wisdom that God desires for all of us to choose is found in His Word. We are also given many warnings about the path of folly (sin). Chapter 5 of Proverbs warns us about the sin of adultery. We are also encouraged in this chapter to remain faithful in our marriage which is a gift from God. For as long as we live here on this Earth, there will be two paths for us to choose to walk on...the path of Wisdom or the path of Folly. It's only by knowing the truth of what God says in His Word and walking obediently to all that God asks that we can walk with discretion and maintain the knowledge God has so graciously imparted to us concerning His will as we travel on the path of Wisdom. This Proverbs Summer Bible Study is a great way to stay in God's Word every day this summer! 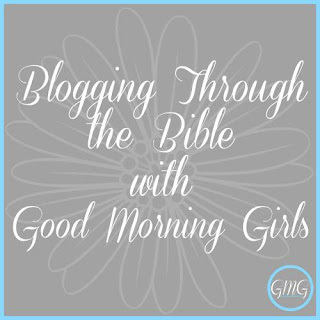 I hope you'll join me here again next week as we read chapters 6-10 in Proverbs with the Good Morning Girls! Our reading plan for next week! I know what path I wanna be on! Amen, Mary! I'm so glad to be on this journey through Proverbs with you!